AGUJAS There is 1 product. 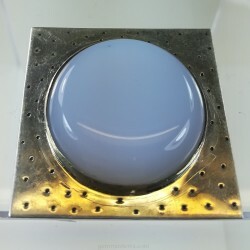 Silver brooch with a chalcedony cab. Weight: 51.50ct. Size: 31x31x8mm. Chalcedony from Turkey.